If you’re an entrepreneur, freelancer or a career professional, you’ll know just how important personal and professional development is to your long term success. Whether you’re a coach, consultant or other type of service professional, staying ahead of the knowledge curve is essential in today’s rapidly evolving times, unless we wish to get left behind. But with so many great personal development books on the market, which ones should you invest your time and energy in studying? …and producing some pretty impressive results for myself, my coaching clients, as well as my followers from all around the globe, I’ve been reminded of one obvious truth. With all the books I’ve studied, whilst I respect any individual who can put themselves through the life changing growth process of actually writing a book, not all of them were created equal. For myself, some books were OK and worth a single read. Well, let’s just say they deserve a permanent place on ones personal development book shelf. These are the kind of books that are so rich in evergreen, hard earned wisdom, they can serve you for a lifetime. These are books written by people who’ve clearly had some real life experience under their belts. So I’ve done my best to cherry pick the ones I feel any entrepreneur, freelancer or career professional can truly benefit from. I must admit it was a struggle to hone the list down. As I keep having people ask me what books I recommend, I thought I’d keep it simple. I set myself the challenge of choosing just 12 books. Well, because first off it would force me to focus on choosing quality over quantity. But also, 12 is a low enough number, that anyone who’s committed enough, could study all of them over the course of a 12 month period. And then repeat the process the following year, with any of the 12 books they felt are worth a further, deeper study. SIDE NOTE: You can order many of them via my affiliate links here. Some are popular classics. Others you may not have heard of yet. Either way, I trust you’ll be in for a treat. 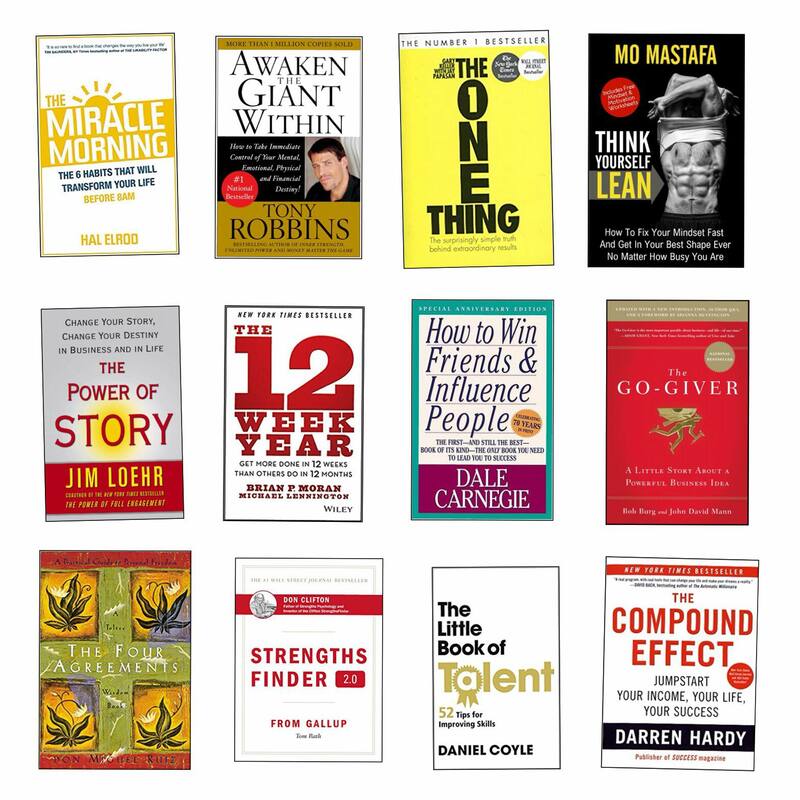 Remember, a single good idea can change a persons life and each book I recommend is jam packed with powerful life changing ideas. Now here’s my challenge to you! …doing your best to apply whatever principles, tools or techniques resonate with your unique circumstances. I’m confident you’ll be pleasantly surprised by how much these books can positively impact your life. Plus, if there are any other books you think should have made the list, please come let me know.